Six months into 2015, I still haven’t finished my New Year’s Resolution of finishing the shelf of books, movies and games that I bought last year without having the time to read, watch and play, respectively. Combined with my slackerism, skipping a collective month and a half of updates, and I haven’t played a Ye Olde Fashioned Game since March (Technically longer, but I only keep track of when I publish articles, not play the games). Lucky for you, the part I ordered to connect my PS2 to my TV in my new house came from China and decided it wanted to see the world before settling down into its new life in America, so it shipped through Malaysia (and probably Venus, judging by the time it took to get here), leaving me with nothing to play but the classics. This doesn’t actually foretell your doom. The prophet just played a Simon and Garfunkle album before you walked in. 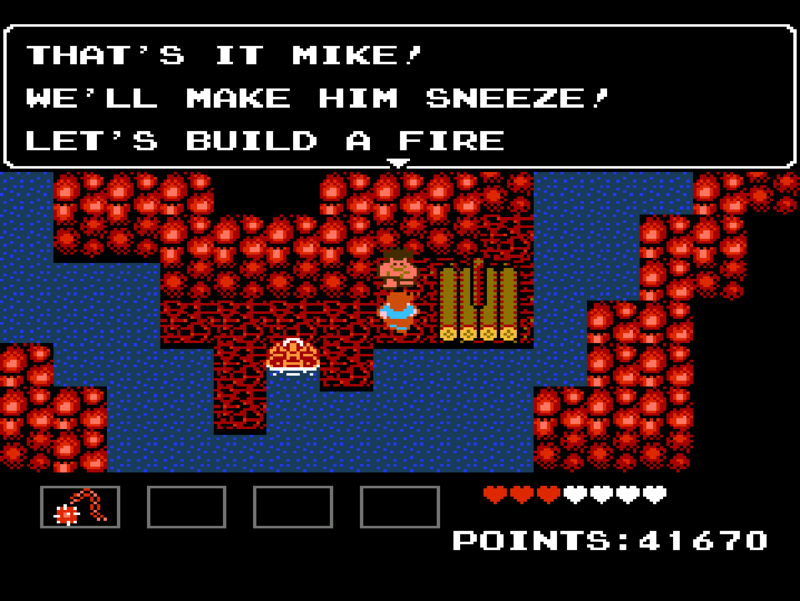 Enter Star Tropics, a game I had heard about, but never turned to until one night of Dorito-fueled boredom caused me to binge on five minute attempts at NES games until I found one that held my attention for a sixth minute. This interesting little anomaly of a game has apparently never seen the light of day in Japan, an idea about as likely as an altar boy who has never seen the private recesses of his priest’s rectory. The anomalous nature stops there though, as the gameplay seems to rip off, er…”blend”…the better parts of both NES Legend of Zelda games and the early Final Fantasy. To top it off, the entire game adopts a theme different from the standard-issue Medieval-slash-fairy-tale setting, except for an alien-themed final dungeon tacked on to the end like the Kingdom of the Crystal Skull trailing after the Indiana Jones movies. Underground labyrinth? Check. Mummies? Check. Stopwatch that freezes monsters? Check. Heart meter? Check. Yup. We’ve got the Legend of Zelda…with a yo-yo. The story centers on Mike, a stout-hearted, wholesome American boy who somehow lives in a nation of small undeveloped tropical islands. Much like Earthbound’s Ness, Mike slaughters aliens with a yo-yo, aided by some good old-fashioned baseball paraphernalia (although I hear neither one wants to take credit for inspiring M. Night Shyamalan to make Signs). Mike’s uncle, Dr. Steven Jones, has disappeared, and the quest falls upon his nephew to find him–while simultaneously rescuing a civilization of freeloaders who send a lone boy to fight hoards of menacing invaders. You know. Standard video game routine. Dr. J has left you a submarine that will take you from island to island to wipe out the biodiversity of Star Tropics’ extensive cave system as you search for clues for your uncle’s whereabouts. And find him abducted by aliens. …somehow I think they felt a little too comfortable with their source material. Immediately on booting up, you’ll find the familiar Legend of Zelda save slots and name registration. 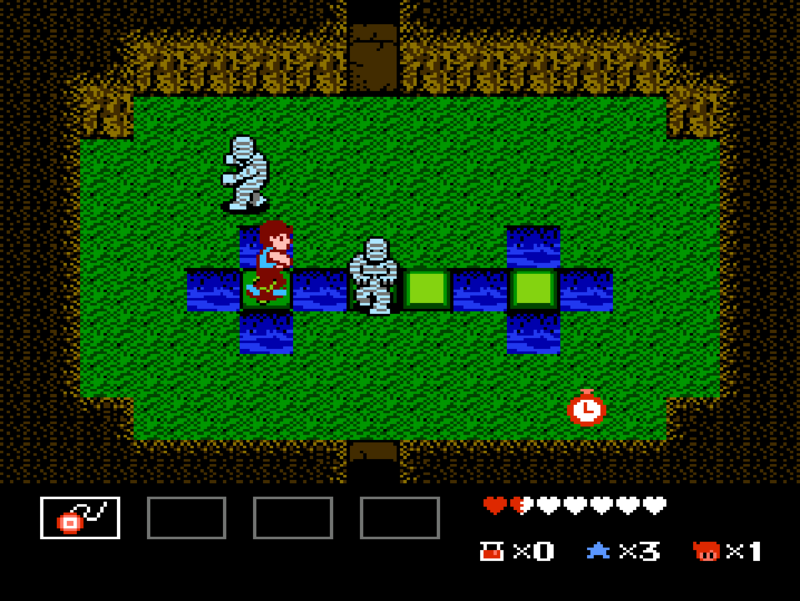 Star Tropics clearly takes a lot of inspiration, especially its combat system, from the original Zelda game, although it adds the ability to jump, something Link seems to have forgotten how to do after the Adventure of Link. 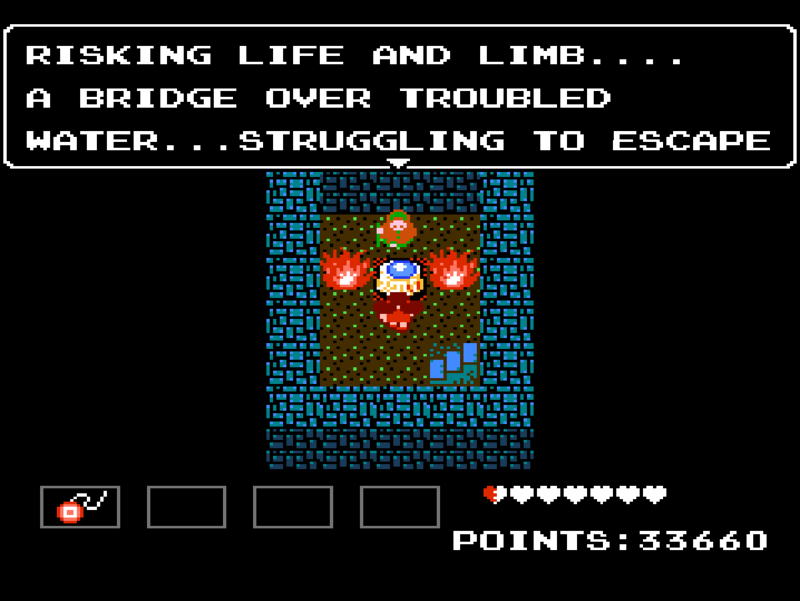 While exploring underground ruins, Link–er, Mike–fights a series of bats, mummies, skeletons and…octoroks? Really? They don’t even want to try to hide it? Okay, then. 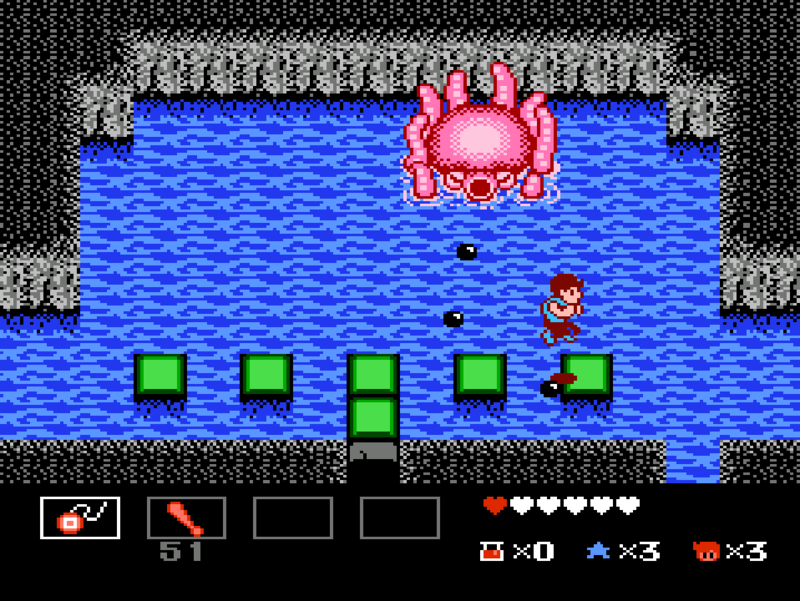 Although the core gameplay does come off as derivative of Zelda underworlds, it almost feels like Nintendo had 16-bit hopes for Star Tropics, as they’ve increased sprite size and made weapons and items a little more useful, if not somewhat less versatile. When in the overworld, the sprites shrink, Mike walks around safely without enemy battles or random encounters, and you may notice more of a Final Fantasy aesthetic, including a vehicle for easy travel between islands. Although some might criticize such blatant rip-offs, I might point out that they took things that work from games people enjoy and made something genuinely fun to play. Remember: even Tolkien ripped off all his ideas from somewhere else. What happened then? Well in Whoville they say, Mike’s short life meter grew one bigger that day. One of the less-fortunate features carried over from the Legend of Zelda gave me no end of problems and eventually broke me down to the point of using save states to cut back on endless hours of repetition. Although Mike’s life meter grows every time he discovers a big heart, his cardiomegaly apparently takes its toll on his health as he starts each new life afresh with three whopping hearts. I didn’t like this in Zelda, but at least enemies in that game had the common decency to offer you their still-beating hearts as you ripped them from their chests. 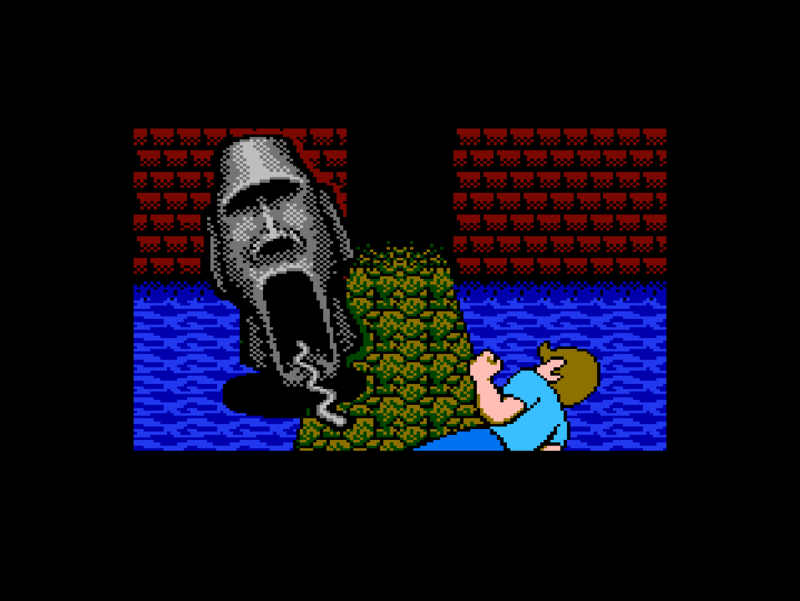 Monsters in Star Tropics rarely pony up as organ donors, leaving the player to fend for himself at all costs in a perilous world of fast-moving enemies chasing after a protagonist with sluggish controls and pockets full of honey and snausages. 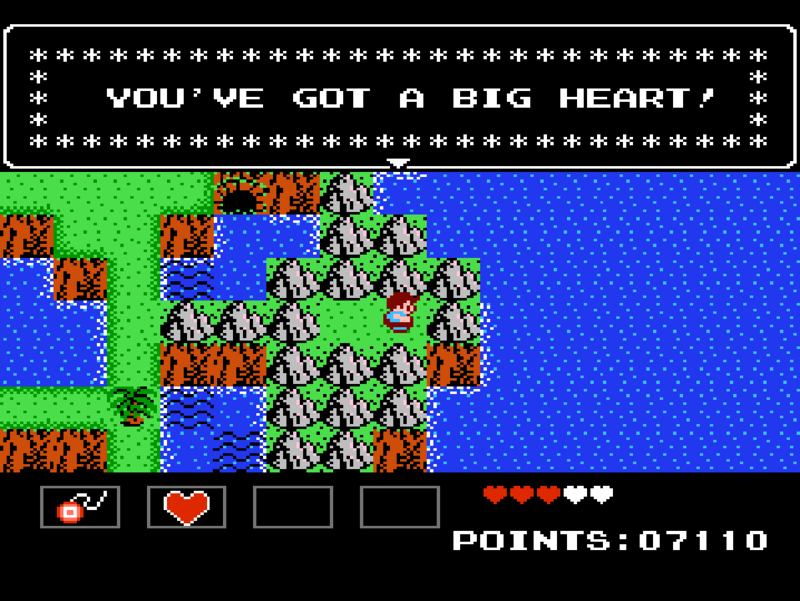 Late in the game, as an effect of what I will generously call a glitch (well, more of a son-of-a-glitch), I picked up an item to increase my life gauge to full, after which it proceeded into a cut scene, saved the game, trimmed my life down to three hearts, then deposited me immediately in front of one of the major final bosses. Legend of the Hidden Temple 2: Olmec’s Revenge. I don’t remember the temple guards trying to disembowel the Blue Barracudas. The soundtrack sports a definite Harry Belafonte vibe, and more than one enemy gave the game a “Legends of the Hidden Temple” feel (alas, though, the parrot sports red, not purple, feathers) As for difficulty, Star Tropics ranks somewhere between “wake up early and exercise” and “only one more Dorito,” but if the NES has built up a reputation for anything, their games carved themselves a niche as the most popular girl in school: more attractive and desirable than the rest of the competition, but subtly more aggressive than a playground bully and no compunctions about treating you as brutally as they want (not to mention a certain affinity for using the phrase “blow me” before a stubborn refusal to cooperate after nothing you do turns them on). If many games, though, just hate you outright (…Dr. 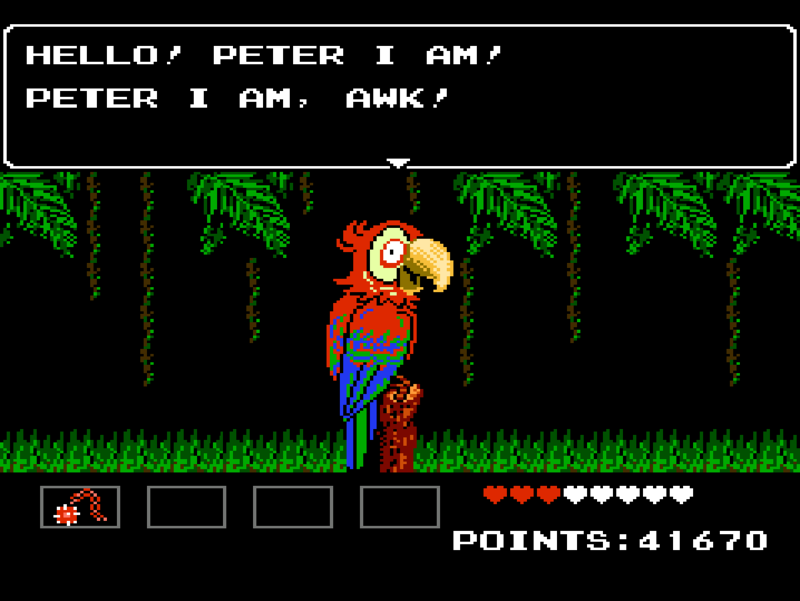 Jekyll and Mr. Hyde), Star Tropics may just friend-zone you. Just as frustrating, but at least you still enjoy it. Jeez, I have got to stop extending my metaphors. Or at least, stop telling Anne stories of the girls I knew in high school. 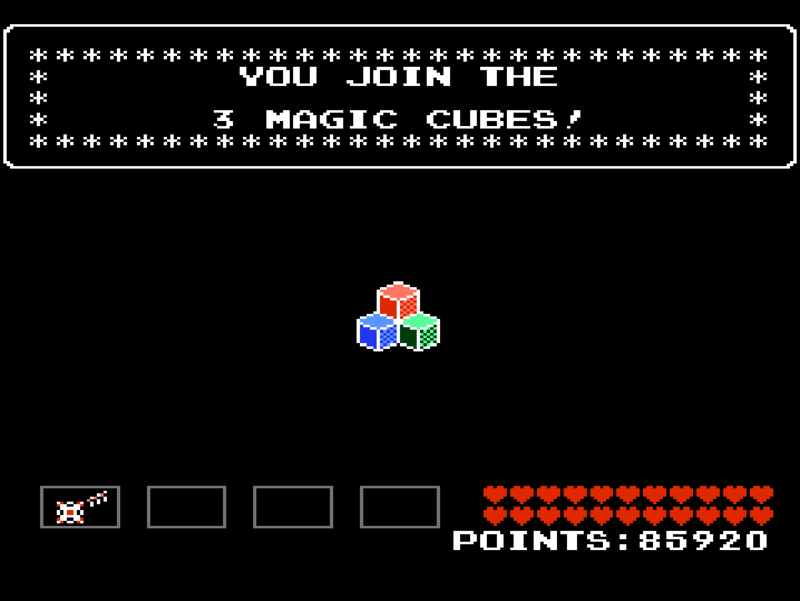 So…I went through all of this because I wanted to play Q-Bert? This entry was posted in NES, Star Tropics and tagged NES, Star Tropics. Bookmark the permalink.